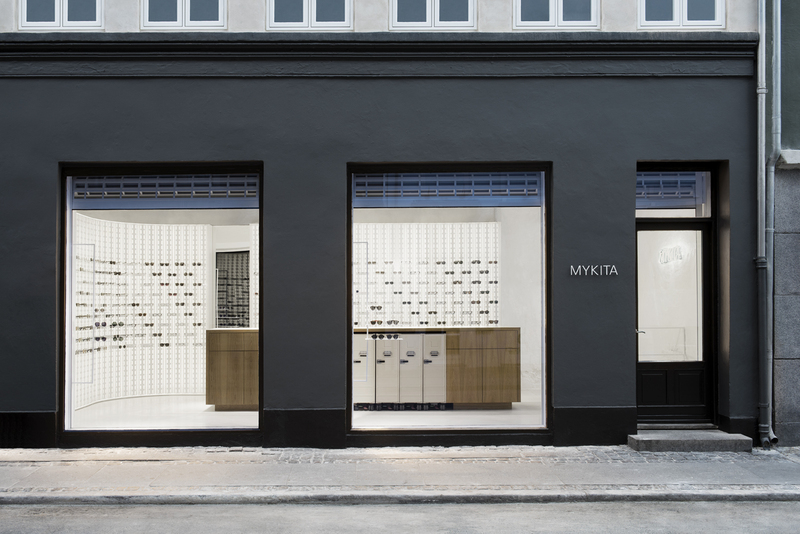 Grønnegade 43, 1107 København – MYKITA opens its own space on one of Copenhagen’s best-loved shopping streets. 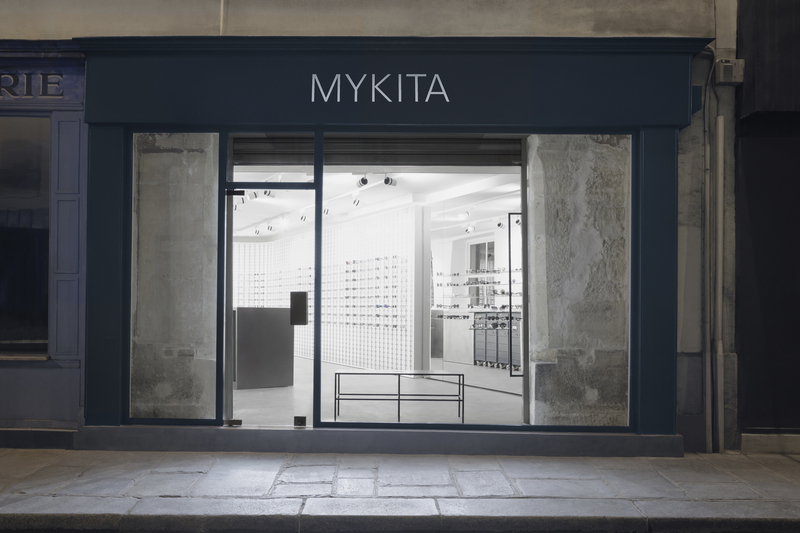 A few doors down from local design store icons, the light world of MYKITA radiates from large shop windows, appearing even brighter next to the dark anthracite of the exterior walls. This visual theme of contrasts was picked up from the shop’s original ceiling, a heritage-listed structure of white glass panels and brass profiles. White terrazzo flooring, floor-to-ceiling windows and mirrors optically enlarge the intimate shop space. Visitors move easily around the wide oak desks in the centre of the room surrounded by the eyewear models on the iconic MYKITA WALL shelving. The interior design of the MYKITA Shop features a contemporary composition of different furniture elements and contrasting materials. Here the concept of the readymade – objects removed from their original context – merges with specially designed furniture pieces and stage-like lighting. The result is a kind of installation with a simple and clear construction that both preserves and complements the traditional character of the building. 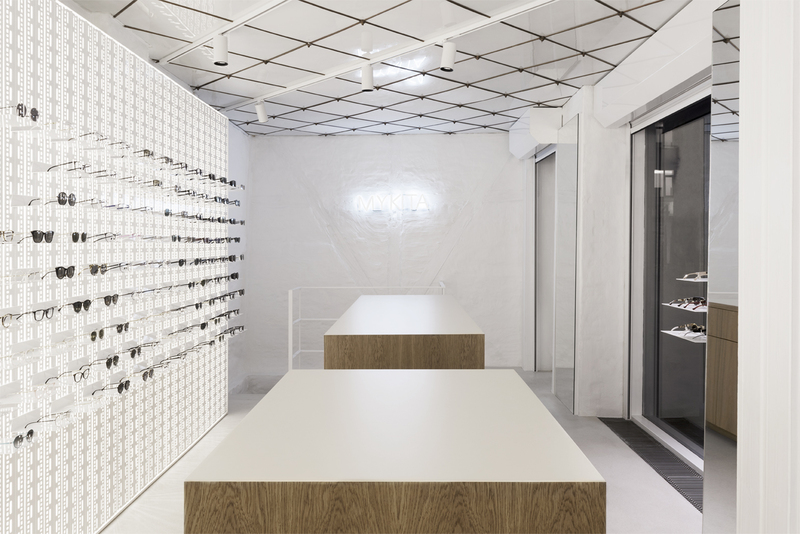 The primary design element of the shop interior is the all-white MYKITA WALL. It comprises perforated steel angle beads reinvented from their traditional function as heavy-duty shelving supports. 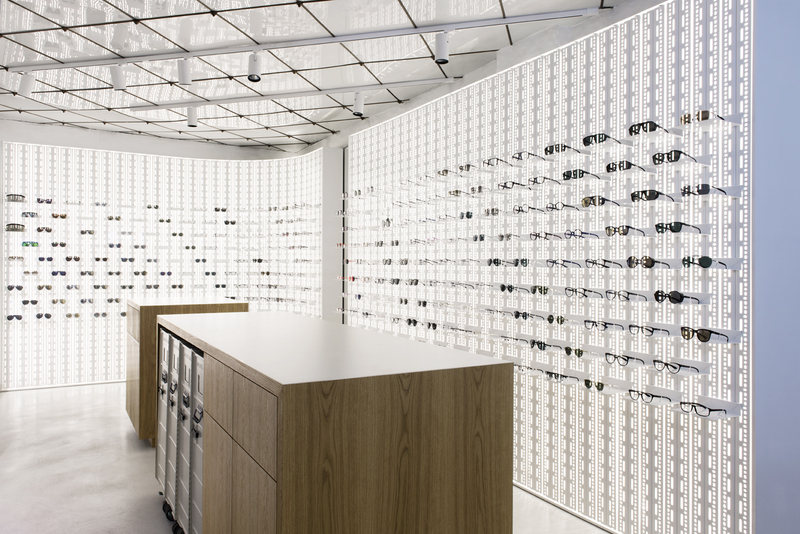 This backlit structure serves as a presentation area for the eyewear collections; individual shelf elements inserted into the wall provide each pair of glasses with its own stage. Well-travelled, out-of-service flight attendant trolleys are repurposed as a storage facility for additional eyewear models. 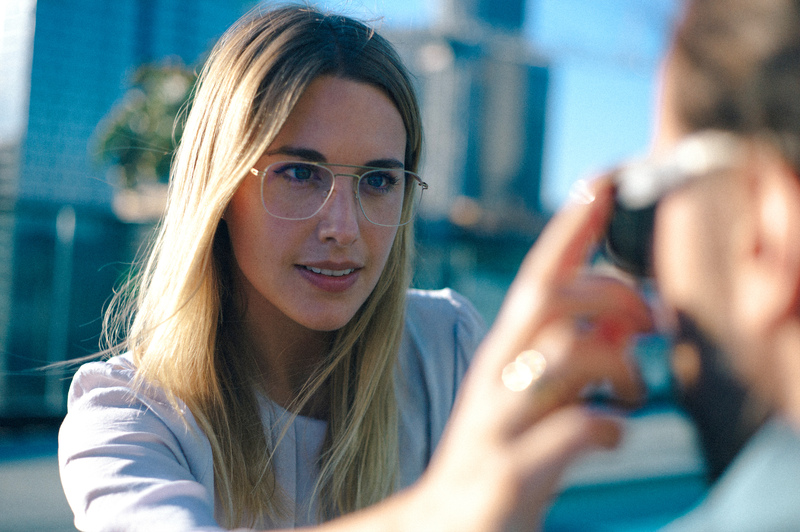 a customised optical profile and perfectly adapt the frame and lens for each customer’s face. 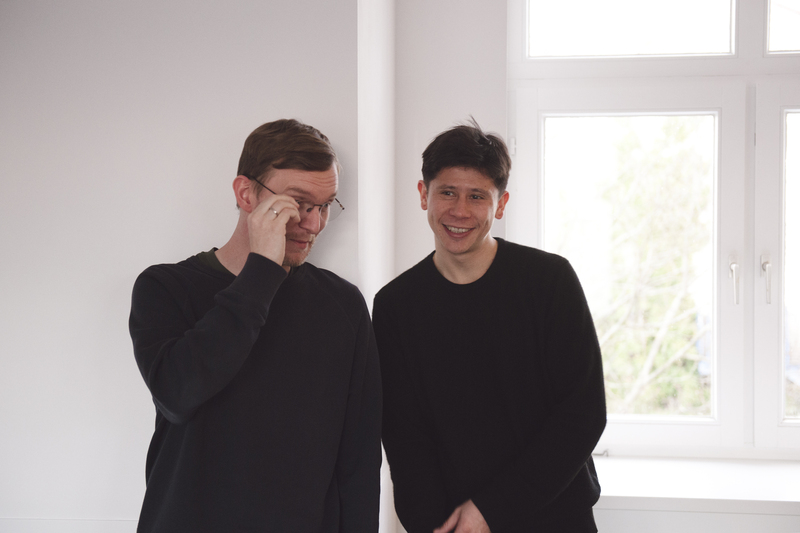 Quality, precision and products made in Germany form the basis of the partnership between MYKITA and world-renowned optical solutions specialist, Zeiss. 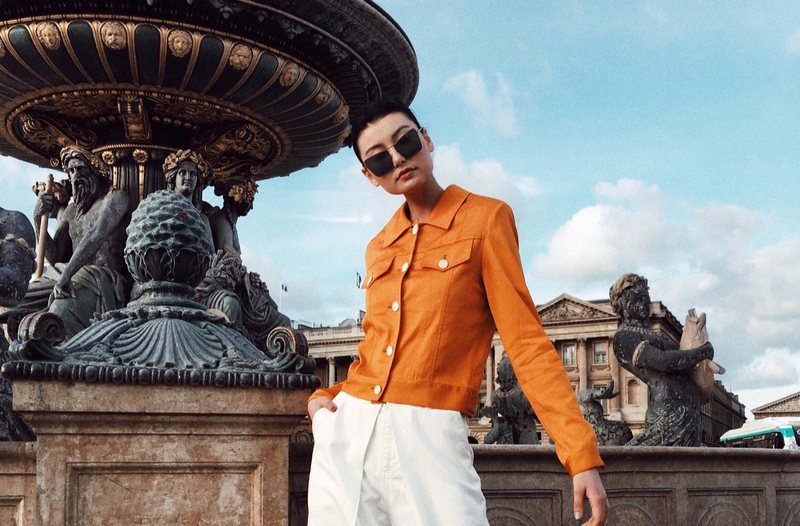 In addition to the MYKITA Shop Copenhagen, the eyewear manufacturer has shops in Berlin-Mitte, Berlin-West, Cartagena (Colombia), New York, Monterrey (Mexico), Paris, Tokyo, Vienna, Washington D.C., Zurich and Zermatt.